I wrote this prayer for American soldiers, heroes and everyone who seeks God's face. I ask God to bless all of you. If you have been the target of physical, intellectual, or emotional intolerance, this prayer is also for you. May you always be blessed by the one, true God. May He always lift you up out of depression and hopelessness. May you always be directed and guided by Him whenever you need to make decisions about anything important in your life. May you learn to be tolerant toward those that believe differently than you do. May you learn to be tolerant toward those of other ethnic and religious backgrounds. May you understand that God's tolerance far surpasses your imperfect interpretation. May you come to an understanding that even those who vehemently protest belief in God may, in fact, be closer to Him than you realize. Sometimes protest is an outward form of an inner spiritual struggle. May you continue to walk on a good and righteous path, and may no harm or evil ever befall you. May you never give your fear the power to destroy your dreams. U.S. Military troops need support from their fellow Americans. ForTheTroops.org, located in Simi Valley, California, is a California 501 (c)(3)non-profit corporation that sends care packages to American front line military troops located in Iraq and Afghanistan year round. Care packages contain various needed items, including, but not limited to, personal care items, magazines, snacks, CDs and DVDs. For The Troops.org also sends the troops stationed in Iraq and Afghanistan your letters of appreciation. Letters are accepted from both adults and children. As a side note, Simi Valley, California is also the home of the beautiful Ronald Reagan Presidential Library. If you would like to help our troops, please visit the ForTheTroops.org website, where you will find a complete Troops Wish List, Letter Writing Guidelines, Drop Off Locations, How to Donate, How to Request a "We Care" Package, plus other important information. You can also read thank you letters and photographs from the troops. Author's Commentary: Obama's popularity has been going down in the Rasmussen Reports Daily Presidential Tracking Polls for quite awhile now. It would seem that there are plenty of voters in America who simply can no longer stomach Obama's liberal agenda to bring America into alignment with the European Union , the United Nations, and socialism. At least President George W. Bush had the courage to stand against the opinions of the mighty United Nations. Bush did not allow the UN to rule over America, and that is how it should be. Actor Kiefer Sutherland is not letting the end of Fox TV's 24 put him on any Hollywood unemployment lines. Kiefer Sutherland is reportedly currently working on three movies, plus a new 24 movie is in the development phase. 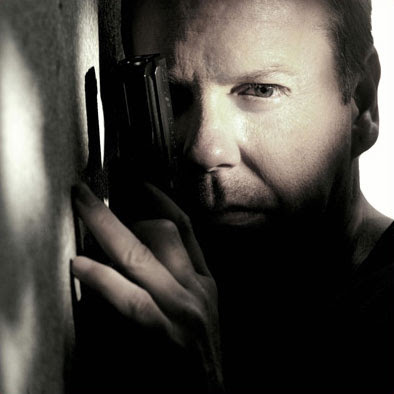 It is likely that Kiefer Sutherland will again portray American hero Jack Bauer in the new 24 movie. 3. Trust - a thriller that takes place in Los Angeles during the Cold War time period. As far as the new 24 movie is concerned, a first draft of a 24 movie featuring character Jack Bauer has already been written, and a second draft has been started. This information about the new 24 movie is per executive producer Howard Gordon. 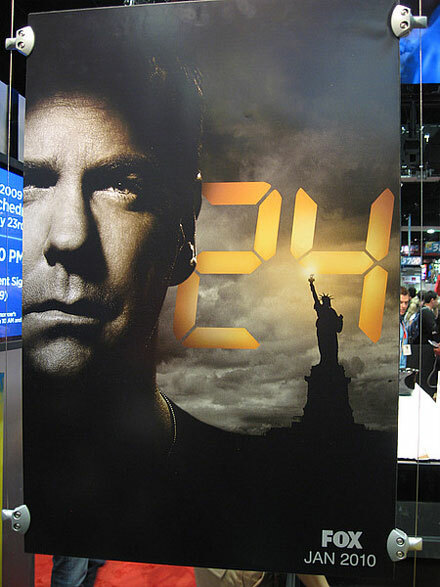 Jack Bauer (actor Kiefer Sutherland) is still alive as FOX TV 24's Final Episode revealed on Monday night, May 24, 2010. During 24's last 2 hours of Season 8 (and also 24's final episode) President Allison Taylor realizes that she must try to save Jack Bauer. Jack Bauer almost assassinates two persons: former U.S. President Charles Logan and Yuri Suvarov, President of the Russian Federation. But Jack's CTU friend Chloe O'Brian (a consistently favorite character on 24 portrayed by actress Mary Lynn Rajskub) convinces Jack not to kill them. Jack didn't have to kill Charles Logan because Charles Logan ends up killing himself before the final 2 hours of 24 comes to an end. Once again, the good news is that Jack Bauer is still alive at the end of 24, Season 8. I write this with a bit of hesitancy due to the fact that Jack Bauer went on a murdering spree during the past few episodes of 24. 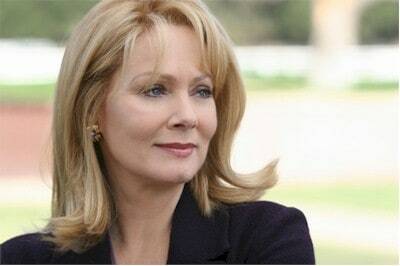 But, having been a fan of 24 since the first episode, I have forgiven Jack. After all, it's not Jack Bauer's fault that the now-liberal writers of 24 decided to turn him into a somewhat different person. If there is a 24 movie, and the fact that Jack Bauer is still alive could mean there might be a film, perhaps the writers will rewrite Jack Bauer's character into the American hero fans like myself grew to love and appreciate. A 24 movie with an emphasis on the Jack Bauer fans recognize and remember will surely be a huge box office hit, and a special treat for 24 fans worldwide. I caught actor Kiefer Sutherland (Jack Bauer on FOX TV's 24) on NBC's Tonight Show with Jay Leno last night. Kiefer Sutherland was honest, about his emotional response to the filming of the final two hours of 24. Kiefer said that even though the cast knew 24 was going to end six months ago, he still couldn't help feeling emotional on the last day the crew was filming the popular hit show. Kiefer Sutherland said he had to hold his head down. I think he meant either in order to keep from crying, or in order to hide his tears, but he didn't explain that part. Kiefer Sutherland didn't mention the fact that several blogs, including Conservative Wordsmith, have recently published posts about Jack Bauer's shocking recent change of character into what seems to be a maniacal serial killer. Kiefer also didn't mention anything at all about a new 24 movie in the works, so I don't know if there really is going to be a 24 movie or if this is just a rumor. I hope the now liberal writers of 24 don't decide to have Jack Bauer officially convert to the Muslim religion during the last episode, or decide to write some kind of ridiculous plot twist in which it turns out that Jack Bauer has been a secret terrorist all along. I hardly believe the writers will be able to come up with something that unbelievable, but, in light of what is happening recently on 24, one never knows. I am still hoping that the final two hours of 24 will be redemptive for Jack Bauer. Even so, Jack Bauer is certainly not innocent of any wrong doings of late, so your guess as to how 24 will end is as good as mine. I miss the old Jack Bauer. I want the old Jack Bauer back. But, alas, that wish will not be granted, as 24 is quickly approaching the final two hours of the final series, Season 8 , on Monday night, May 24, 2010. *This post was originally published on May 22, 2010 at 10:19 PM. Jack Bauer, the former American hero and anti-terrorist on the Fox TV hit 24, has now apparently become somewhat of a serial killer and serious anti-hero. I have been a fan of 24, and of Jack Bauer's, since Day 1, and I must tell you how disappointed I am in the way in which writers of 24 have butchered (no pun intended) the character of Jack Bauer. What are the not-so-creative minds behind 24 thinking? Do they honestly think Jack Bauer fans are enjoying watching him more or less going berserk on us, and killing just about anyone in sight? Not only that, but Jack Bauer is killing people in extremely gruesome and violent ways. All of these murders presumably stem from the loss of his love, Renee Walker, who was brutally shot down a few episodes ago. I frankly find this reasoning hard to believe, and the change in Jack Bauer's character is difficult to accept. With only 2 hours remaining until 24 finally ends forever (at least on television, because there might be a 24 movie in the works), I can't believe I'm writing these words, but the fact is that I am almost glad the show is ending. Fans can thank the leftist liberals who took over the production of 24 after conservative Joel Surnow, one of the original creators of 24, quit a while back. When Joel Surnow was running the show, the basic plot had a much more conservative bent from week to week, with a heavy emphasis on fanatical Muslim terrorists whose purpose in living was to destroy America. There were liberal slips once in a while, but now the liberal slips have become fatal errors, and it is my belief that this is why 24 is no longer going to be seen on television after the show ends next week. I am sad that Kiefer Sutherland agreed to the character change, especially since Kiefer Sutherland might have had a say about this, since he is one of the producers of 24. Perhaps my time can soon be spent more wisely in the reading of a good Jane Austen book on Monday nights. In reading the writings of Jane Austen, it is automatically a sure thing that I will learn something. At least I won't get a dose of "let's see how nauseated we can make our viewers before the show ends." Am I still planning on watching the final two hours of 24 next week? Yes. I do want to know how the series ends, and, in spite of my bitter disappointment in Jack Bauer, I still hope for his redemption. *This post was originally published on May 18, 2010 at 7:21 PM. China continues to manufacure and export dangerous toys to America. China manufactured a toy gun that killed two children. The toy gun was sold at the Family Dollar Store, a discount chain in America, yet Obama listened to China's complaints about U.S. human rights. Obama even volunteered apologies to China about the Arizona Immigration Law. Today the Consumer Production Safety Commission issued an immediate release involving a toy gun sold exclusively at the Family Dollar Store after two children ages 9 and 10 lost their lives while playing with these. Make sure if your child has this toy that it is confiscated immediately and thrown away. Make sure you write a letter, send an e-mail, or make a phone call to this distributor who refuses to recall the toy on its own - Henry Gordy International. Nearly two millions of these toys were sold throughout the United States. The Mexican Government has issued an Arizona travel alert due to the new Arizona Immigration Law. Arizona Law indicates there will be a massive crackdown on illegal immigrants from Mexico. U.S. Attorney General Eric Holder says that a federal court challenge to a new Arizona law aimed at curbing illegal immigration isn’t out of the question. One lawmaker in Utah is now drafting an immigration bill that is similar to the one that Arizona just passed [will a similar California law soon follow? If conservative candidate Meg Whitman is elected as the new California governor, that is a strong possibility. Meg Whitman's new television ad mentions that if she is elected Governor of California, she will call in the National Guard to deport illegals if necessary]. The tensions won’t stop. Not only has the Arizona immigration bill thwarted a Chicago-area High School basketball tournament in Arizona trip, it has divided the country at a time where division is worse than ever. Since Obama and his officials recently apologized to China about the Arizona Immigration Law, it doesn't surprise me that U.S. Attorney General Eric Holder would issue a statement regarding a possible federal court challenge to the Arizona Immigration Law. Obama's Liberal Mouth Continues To Speak Out Against America and American Policies. [Assistant Secretary of State Michael Posner] said in addition to talks on freedom of religion and expression, labor rights and rule of law, officials also discussed Chinese complaints about problems with U.S. human rights [what right do the Chinese have to complain about U.S. human rights? This is nothing less than insanity. ], which have included crime, poverty, homelessness and racial discrimination. He [Posner] said U.S. officials did not whitewash the American record [of course not -- Obama is compelled to open his mouth and spout forth his false ideas about America every chance he gets] and in fact raised on its own a new immigration law in Arizona that requires police to ask about a person's immigration status if there is suspicion the person is in the country illegally. I want to mention here that the topic about Arizona's new Immigration Law was not brought up by the Chinese, but by Obama and his politically correct entourage. I also would like to know what Obama's response was to the Chinese about their various complaints against America. I bet the Chinese didn't utter one word of complaint about the Chinese government's poisoning of America's pets with tainted pet food, or exposing American children to lead with their "Made in China" toys. I bet the Chinese never uttered one word of complaint about all of the money the Chinese are making over their near-monopoly of products sold in American stores, including everything from shoes to toothbrushes. When will Obama and his liberal administration learn to stop their negative verbiage against America and American policies, especially when talking to those, like the Chinese, whose basic political agenda is to violate the basic human rights of every Chinese citizen. The Rasmussen Reports Daily Presidential Tracking Poll for Saturday, May 15, 2010 indicates that Obama's ratings with American voters continue to in a downward direction. May 14, 2010 – 12:04 a.m.
On the other hand, Republican Congressman Chris Lee "urged Mr. Obama to, in Lee's words, 'really listen' to what Americans are saying about the economy." Is President Obama, possibly the most liberal U.S. President in the History of America, really listening to what Americans are saying about the economy? Is Obama really listening to what Americans are saying about anything going on in America? Does Obama even have a clue about what Americans think? Most importantly, does Obama care about America and Americans, or does Obama simply intend to accomplish everything he can to insure that America will be a socialist country before his presidential term is over. Guest blogging services are now being offered by Conservative Wordsmith Susan Baldwin, author of www.conservativewordsmith.com. Conservative Wordsmith Susan Baldwin has close to 5,000 friends on Facebook, and over 600 followers on Twitter. If you are interested in hiring Conservative Wordsmith Susan Baldwin to write an article for your blog or website, send an email to : conservativewordsmith@gmail.com. If you are a member of Facebook, you can also contact Susan via a Facebook message. Faisal Shahzad, a Pakistani man who is now a naturalized American citizen, is still being questioned by investigators. Faisal Shahzad has been charged with an attempted terrorist car bombing that took place in New York City. Robert Gates and Chairman of the Joint Chiefs of Staff Adm. Mike Mullen told the House Armed Services Committee that changing the "Don't Ask, Don't Tell" Gay Military Law is a mistake, and that the military needs to give their feedback before any changes are made. The National Day of Prayer service was started by George W. Bush. It was an openly evangelical Christian affair, and was highly inappropriate for an official White House function. It was offensive to all non Christians. Christians must learn that not everyone subscribes to their silly superstition. Their superstition has no business being privileged or even recognized by the federal government. Author's Commentary: Thank you, Michael Stone, for enlightening all of us about the "silly superstition" called Christianity. In fact, thank you, Michael Stone, for enlightening us about your personal beliefs, and for sharing your completely biased, and obviously liberal, thoughts with conservative Americans who don't happen to agree with you. God exists, Michael Stone, and your beliefs don't change the facts about God, Christianity, and the Bible. President Barack Hussein Obama, in spite of his persistent, yet highly questionable, insistence that he is a Christian, will not be holding the National Day of Prayer service at the White House today. What else is there to expect from President Barack Hussein Obama's self-proclaimed Christian faith? President Barack Obama walked out of the National Prayer Breakfast right before Christian quarterback Tim Tebow said his prayer. *See My Related Posts below. I can't help but wonder if President Barack Hussein Obama would have canceled the National Day of Prayer service at the White House if the prayers to be recited were Muslim prayers. You think?